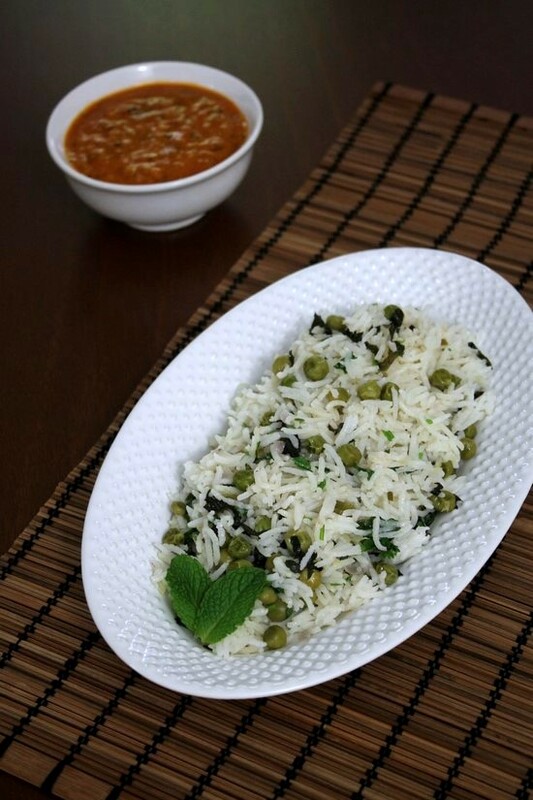 Peas pulao or matar pulao recipe – mild flavored pulao recipe made with green peas. Goes perfect with any raita or any dal recipe. This is simple and easy pulao recipe. When you are in short of time for cooking a meal. This green peas pulao will come to your rescue. While pulao is cooking, quickly whip up the onion-tomato raita. Also roast some papad if you like. And dinner’s ready. Yes, matar pulao and raita is the heavenly delicious and satisfying combination. I have added the mint leaves at the end. It gives very refreshing flavors. You don’t have mint leaves available in your fridge, just skip it. But I would not recommend skipping coriander leaves. Fresh herbs make the huge difference in the flavors. 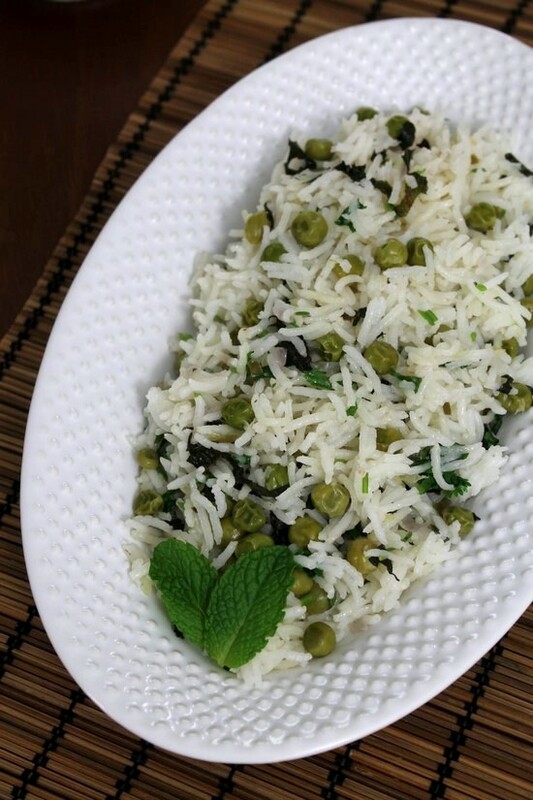 This peas pulao is dear hubby’s favorite. So I make it once in two weeks and pack him in his lunch box. As this is mild pulao, this will be perfect for kid’s lunch box as well. 1) Wash the rice under running cold water till water runs clear. Then soak the rice in enough water for at least 20 minutes. 2) While rice is soaking prep other ingredients for the pulao. After soaking time, drain the rice and discard water. 3) Heat the oil in a saucepan on medium heat. Once hot, add whole spices (cinnamon stick, cloves, peppercorns, green cardamom and mace). Saute for a minute, you will get nice aroma of spices. 4) Then add chopped onions. Cook till onions get translucent. 5) Then add green chili, ginger and garlic paste. 6) Mix and saute for 30-40 seconds. Or till the raw smell of ginger garlic goes away. 9) Add soaked, drained rice. Also add salt and lemon juice. 10) Mix well and saute for 2 minutes. 12) Bring the water to a boil. Once starts boiling, turn the heat to the lowest possible. Cover the pan with lid. cook for 17-18 minutes exactly. 13) Then turn off the stove. Let it rest covered for 5 minutes. After 5 minutes, open the lid. 14) Add chopped coriander leaves and mint leaves. 15) Stir very gently, so rice grains do not break. 16) Remove it to a serving bowl or plate. You can double or triple the recipe. Always follow the 1:2 ratio of rice and water. Meaning you need 2 cups of water for every 1 cup of rice. Serving suggestion: Serve peas pulao with raita like cucumber raita, mint raita or carrot raita. This matar pulao can be served with dal like dal fry, dhaba dal, or dal tadka. Then soak the rice in enough water for at least 20 minutes. While rice is soaking prep other ingredients for the pulao. After soaking time, drain the rice and discard water. Heat the oil in a saucepan on medium heat. Once hot, add whole spices Saute for a minute, you will get nice aroma of spices. Then add chopped onions. Cook till onions get translucent. Then add green chili, ginger and garlic paste. Mix and saute for 30-40 seconds. Add green peas. Mix well. Add soaked, drained rice. Also add salt and lemon juice. Mix well and saute for 2 minutes. Bring the water to a boil. Once starts boiling, turn the heat to the lowest possible. Cover the pan with lid. cook for 17-18 minutes exactly. Let it rest covered for 5 minutes. After 5 minutes, open the lid. Add chopped coriander leaves and mint leaves. Stir very gently, so rice grains do not break. U forgot to add salt….if anyone don’t notice den she/he could be fail to cook ….. 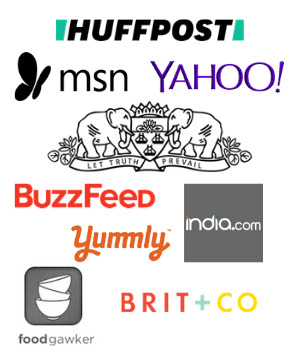 It is already mentioned in the ingredients list as well as in the method.